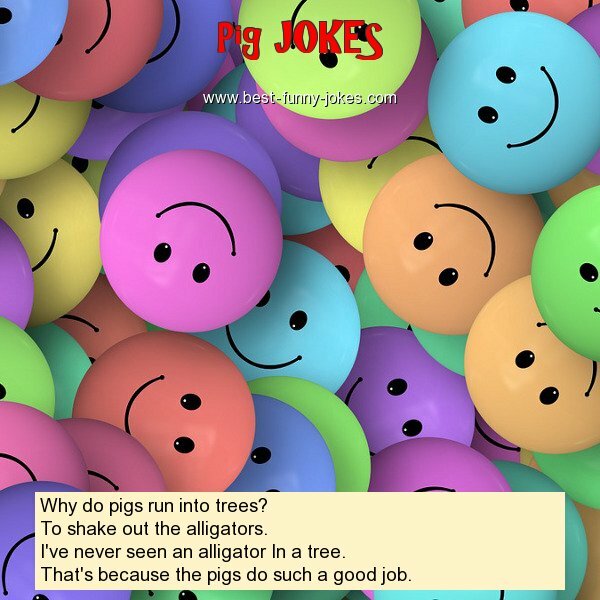 Why do pigs run into trees? To shake out the alligators. I've never seen an alligator In a tree. That's because the pigs do such a good job.